Our Yellowfin range is packed with everything you could need for an offshore adventure, so you get more boat for your money. 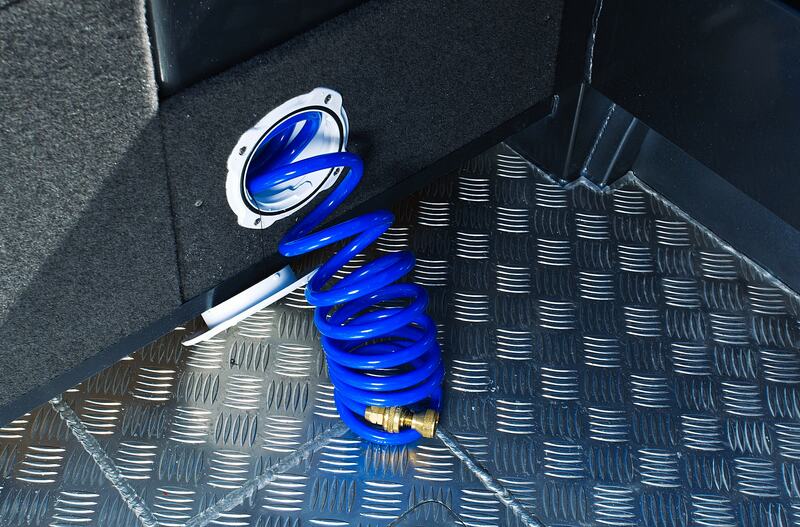 With a range of great additional options to select from as well you can truly customize your Yellowfin package. See our complete range of standard features and options here. 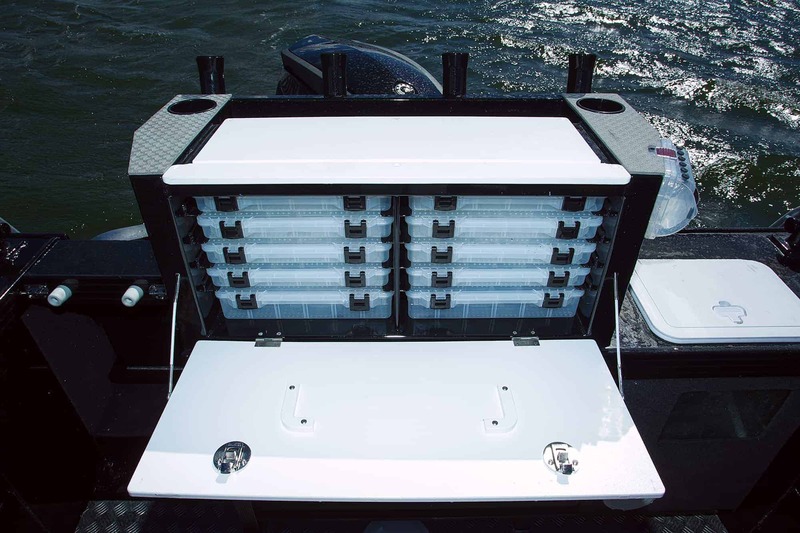 The live bait tank is fitted to the back deck and is complete with a front viewing window. 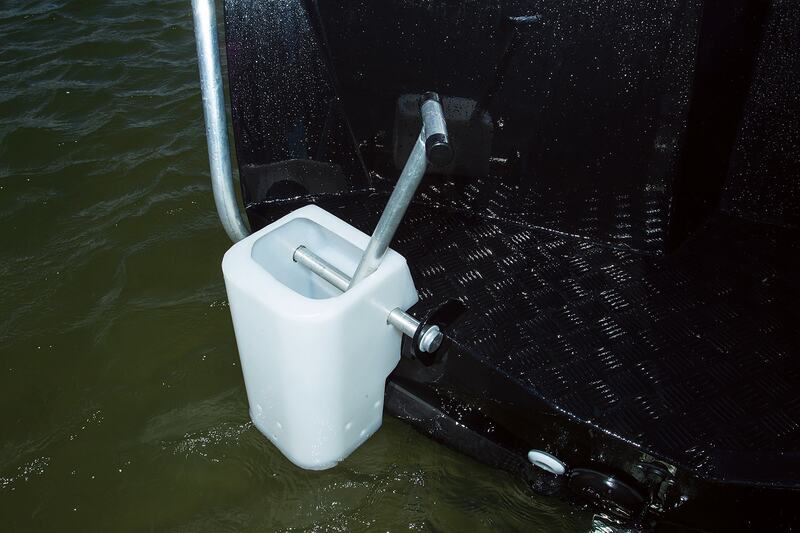 The bait tank also includes and external pickup which circulates fresh water through the tank while the boat is under way. 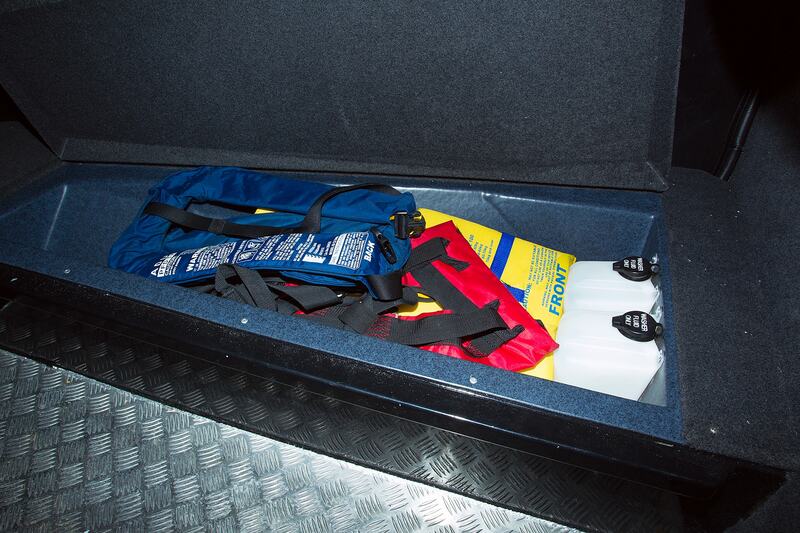 The 110L Kill Tank sits mid-ships for ultimate weight distribution and provides ample space for the day’s catch. 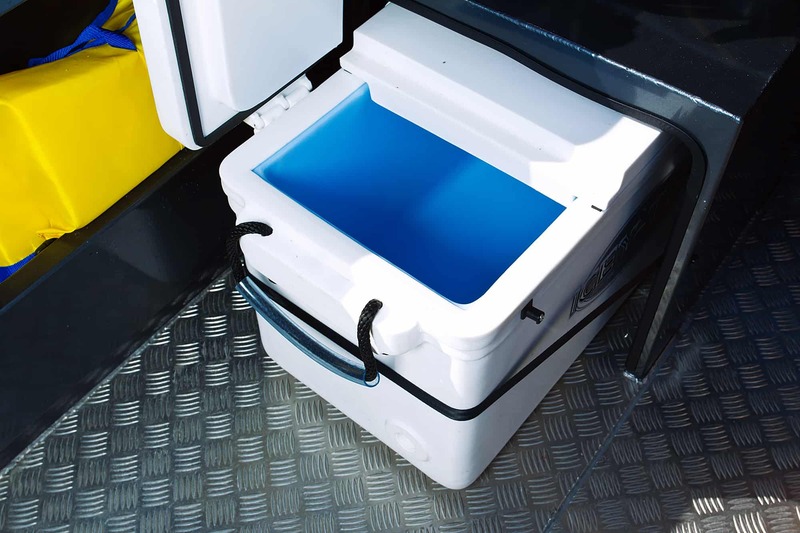 Or If you prefer the long weekend fishing trips you have the option to covert the Kill tank to an additional 75L fuel tank when placing your customized Yellowfin order. 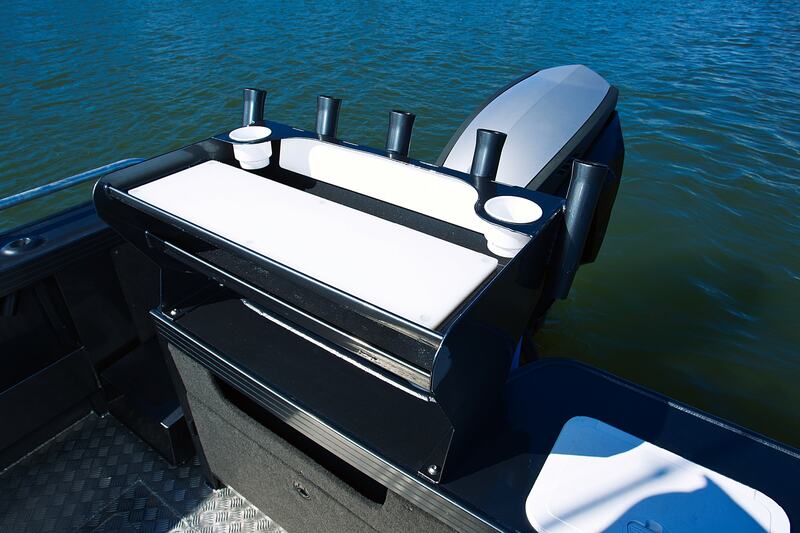 The Catch N release mechanism makes launching and retrieving your boat at the ramp a breeze. 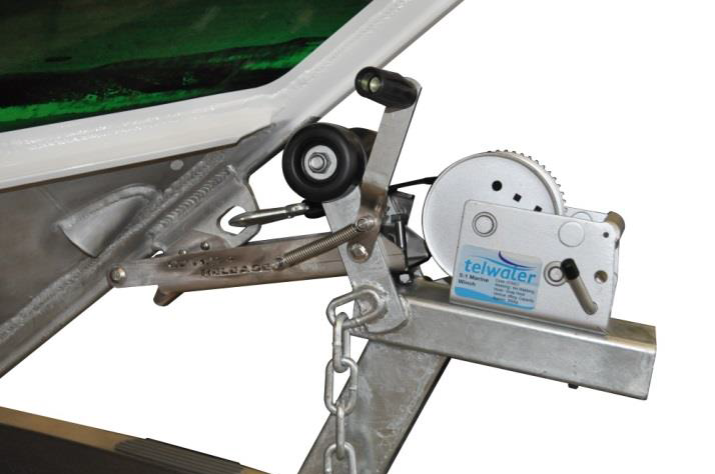 As you nudge your boat forward on the trailer the latch will be caught holding your boat in place – it’s so easy you can do it all yourself. 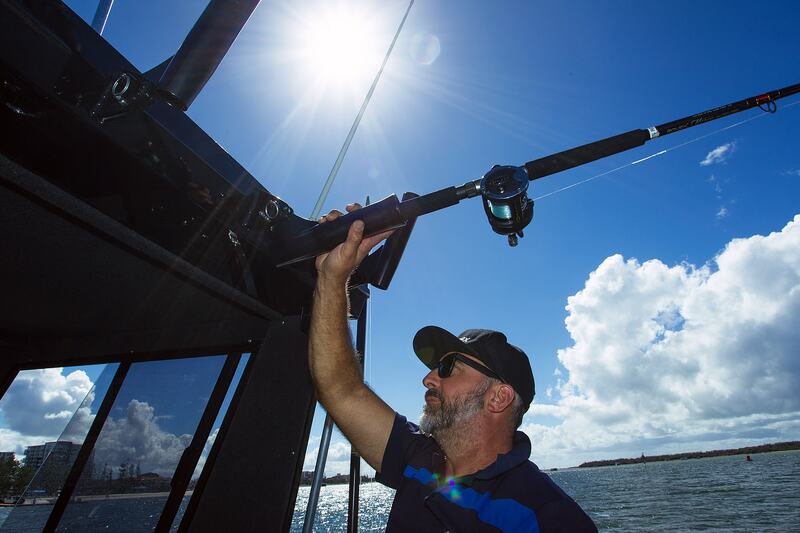 Never short of room to house your prized possessions every Yellowfin isn’t complete without 16 welded rod holders including 5 ‘Reel Easy’ folding holders across the hard top – to allow for easy access. Every Yellowfin has a standard deck wash fitted to make cleaning up after a long day fishing as simple and hassle free as possible. 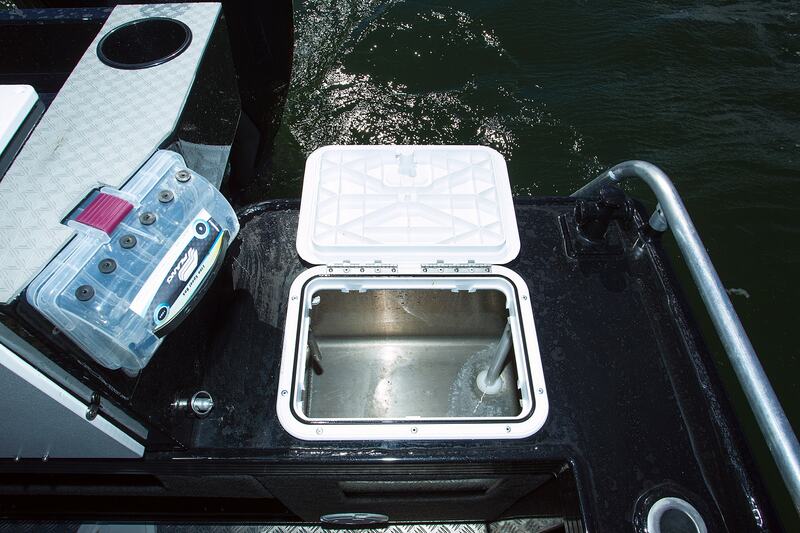 Every Yellowfin is armed with a hand-built aluminum cutting board station which is equipped with welded in rod holders, under tray storage, large drainage tube, sizeable bait gutter and heavy duty, replaceable cutting surface. 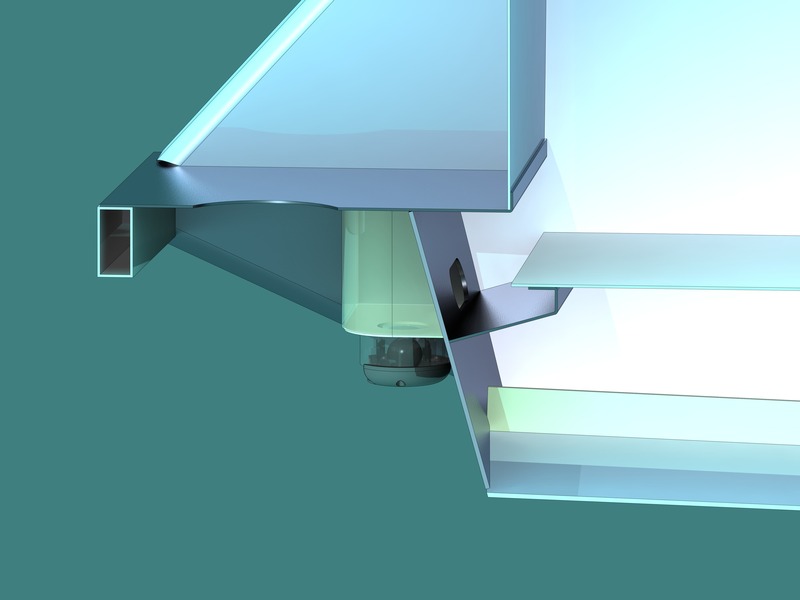 The Auto Drain Deck expels water quickly and efficiently from the hull with a rear gutter which guides excess water to a lower chamber ready to be pumped out. 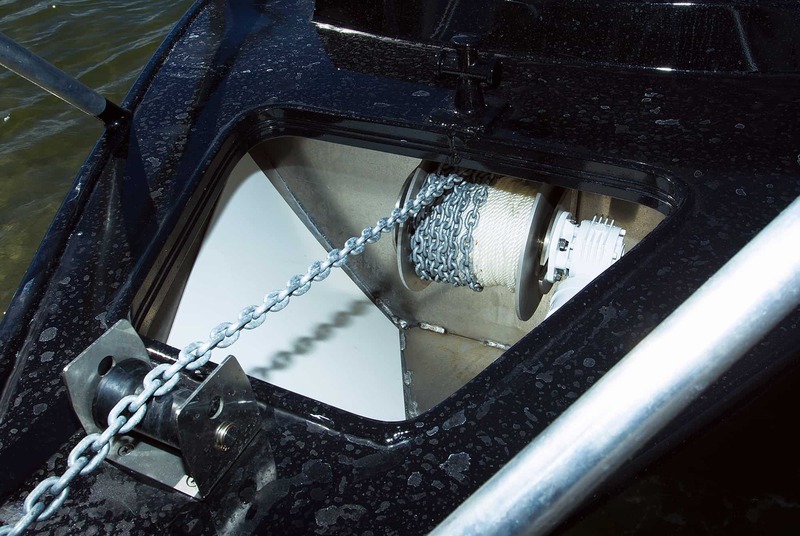 Separate to the underfloor bilge pump Auto Drain Deck offers you another layer of safety. 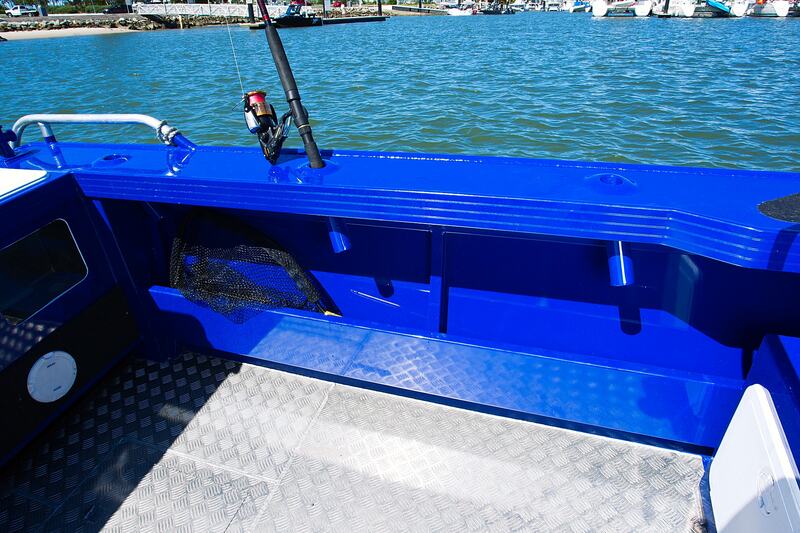 The Yellowfin range is constructed of 6mm marine grade aluminum bottom sheets and 4mm side sheets. The ‘Marine Core’ construction ensures that strength really does come from within with a subframe rib structure of longitudinal and latitudinal ribs made from 6mm vertical stringers and 5mm horizontal ribs to reinforce strength and the shape of the hull. 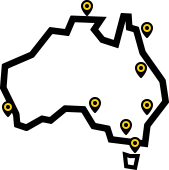 While the self-draining floor is supported by a box section floor frame. 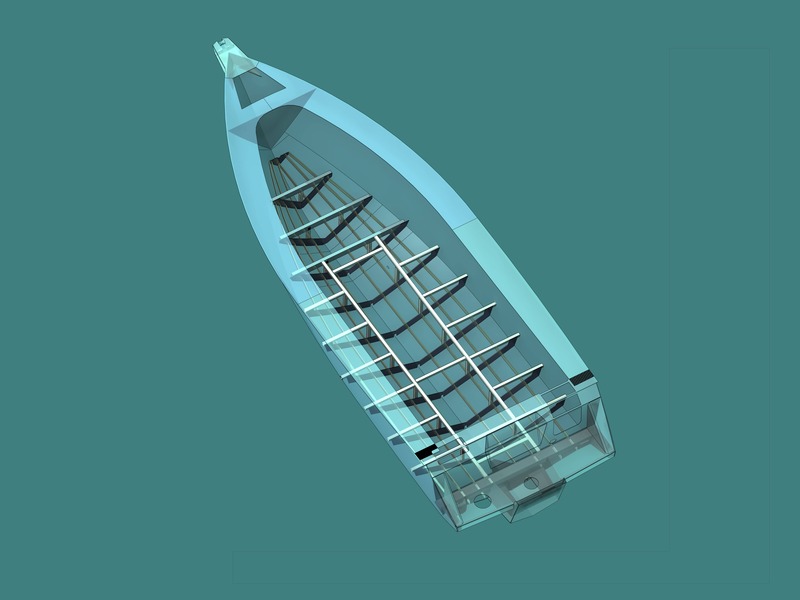 The backbone of the Yellowfin, the keel and chines are reinforced by being welded a huge four times and all extrusion is specifically designed for marine use. This is one tough rig. 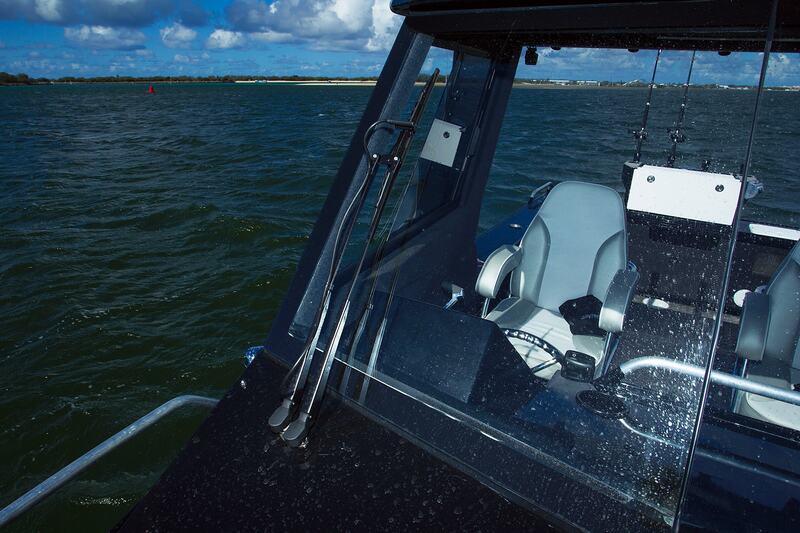 The Offshore HD Hull features a variable deadrise to 19 degrees at the transom and with the 730 deadrise the Yellowfin can tackle the toughest conditions. The deep V of the Offshore HD hull ensures the Yellowfin gives its captain a predictable, soft and steady ride, carving through swell with ease. The Reverse Chine works to deflect spray away from the boat and enhances stability so you can expect a predictable journey in all conditions. 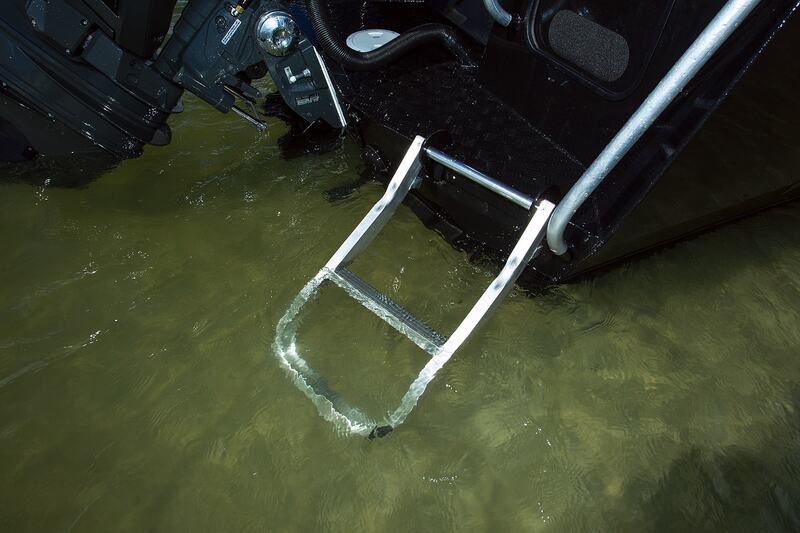 Experience easy access in and out of your Yellowfin with an aluminum rear ladder positioned on the starboard side accompanied by the transom door. 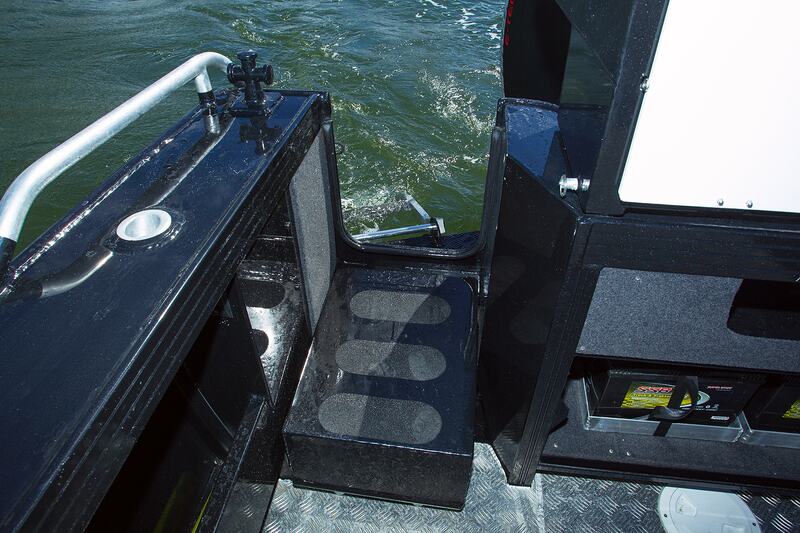 The hinged transom door located on the starboard side of the back deck makes easy access in and out of the boat. Located on the portside the burley bucket is an essential for serious offshore fishos and is included as standard on all models. 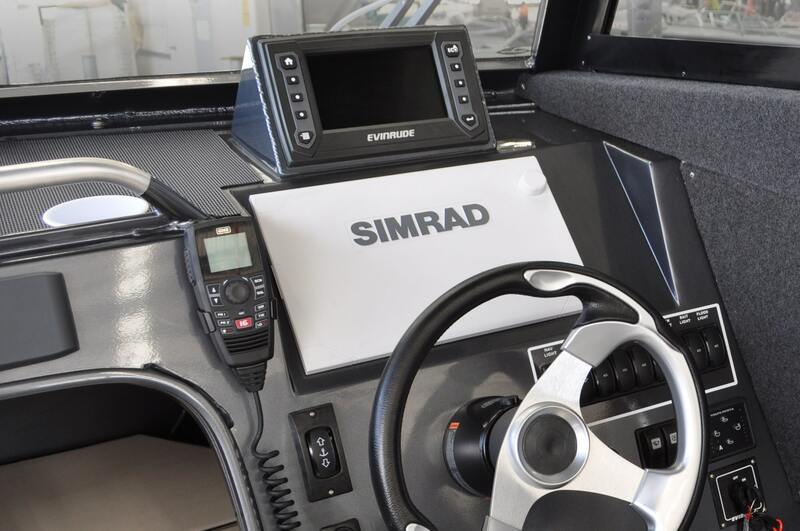 Visibility is key when tackling rough seas and with pantograph windscreen wipers included as standard on all Hard-Top models you can rest assured you will have uninterrupted vision. 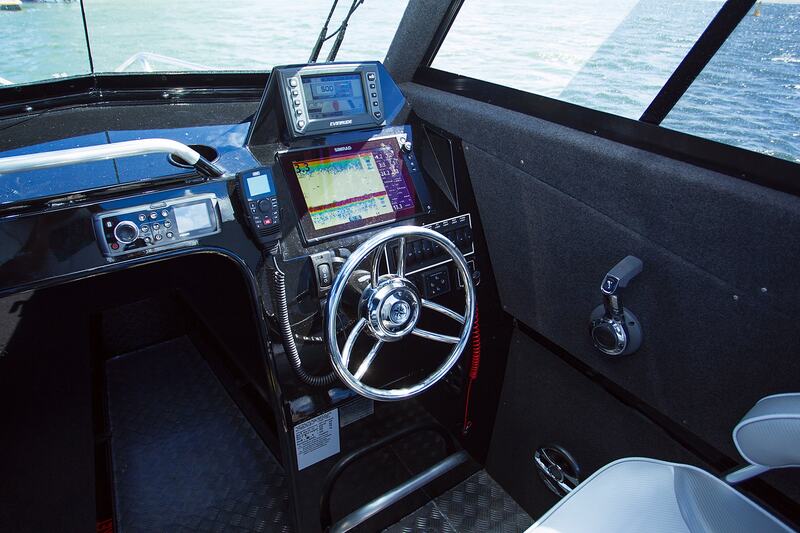 Hydraulic steering as standard helps make the driving experience easy and hassle free and gives you ultimate control over your vessel. 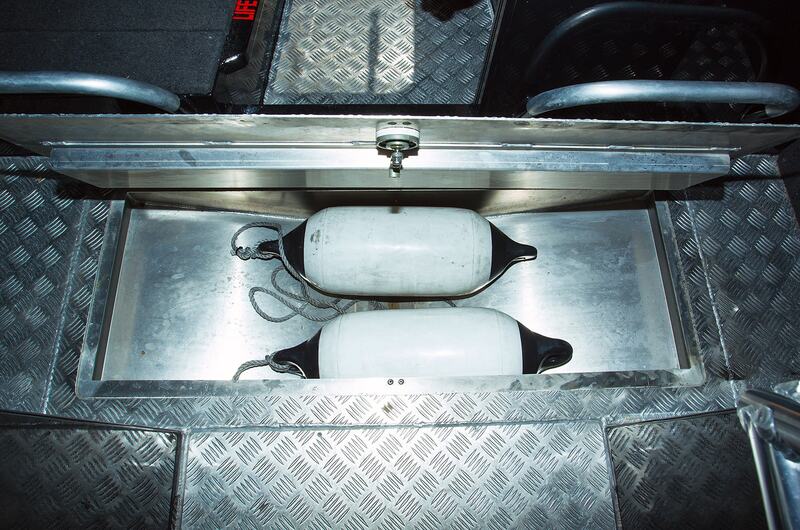 The underfloor fuel tank ranges in size dependent on your model choice. 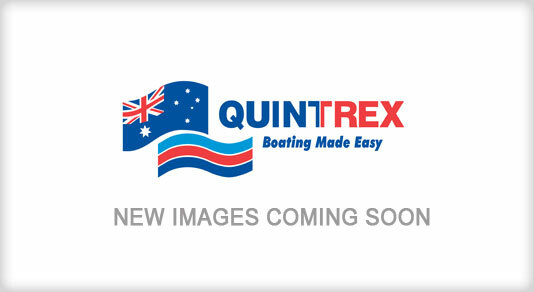 The welded tank is fully serviceable and compliant with Australian Boat Building requirements. The soft top range of Yellowfins still allows room for your rods with an aluminum rocket launcher with room for 5 rods. The Hard-Top range of Yellowfins features 6mm hardened glass windscreen complete with sliding side windows with a front opening. 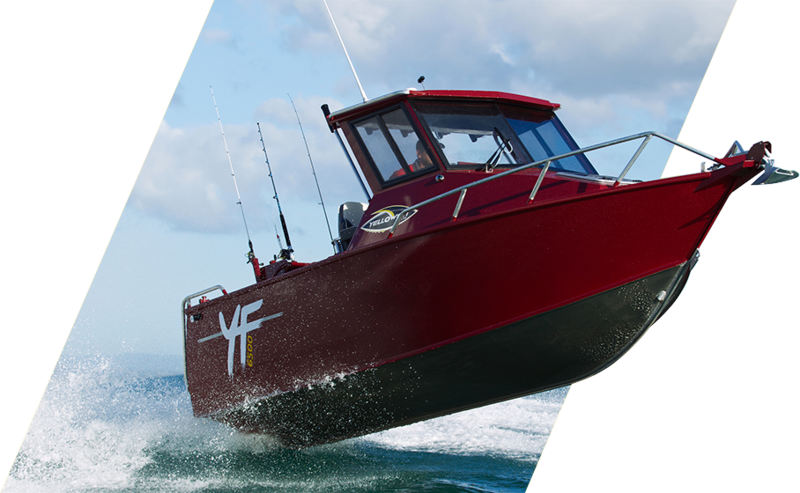 Safety is always at the forefront of all our boat designs, so every Yellowfin model meets or exceeds all basic floatation specifications. 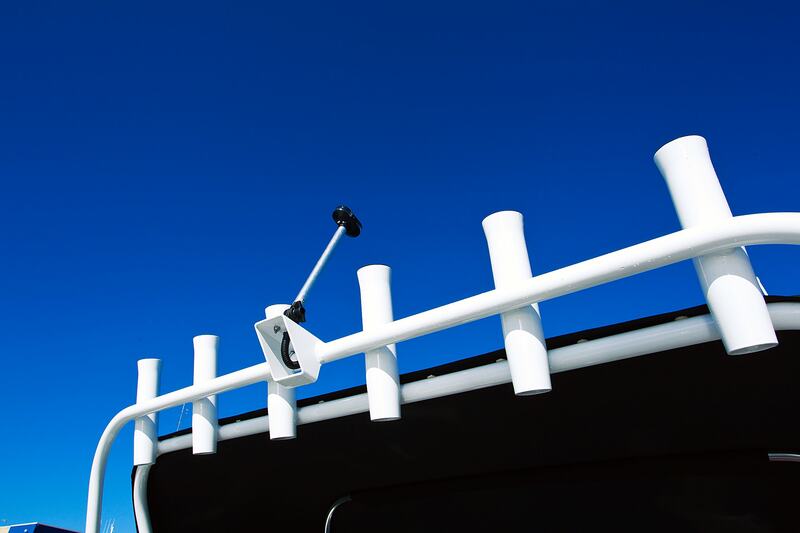 The Reel Easy rod holders located on the hard-top fold down at the pull of a pin making it easy for everyone to access. Standard with every boat and a necessity when travelling offshore for the day. 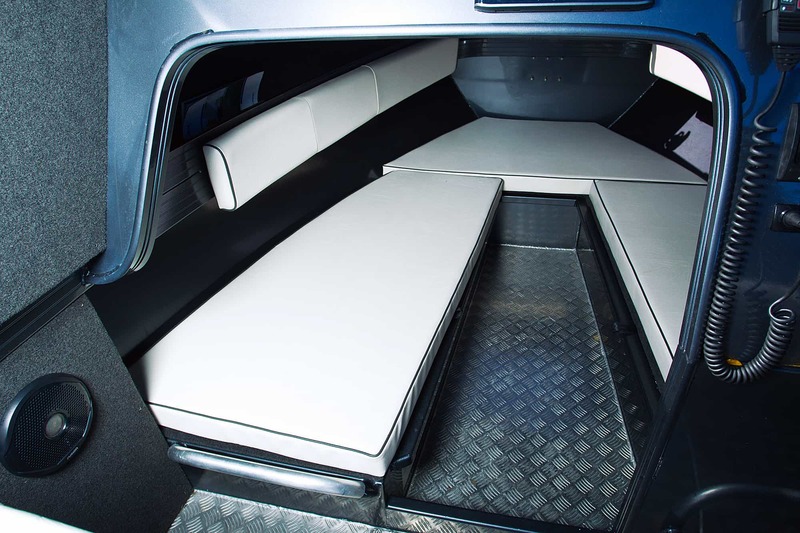 Packed with plenty of storage options you have the large side pockets along both port and starboard sides as well as cabin bunk storage. 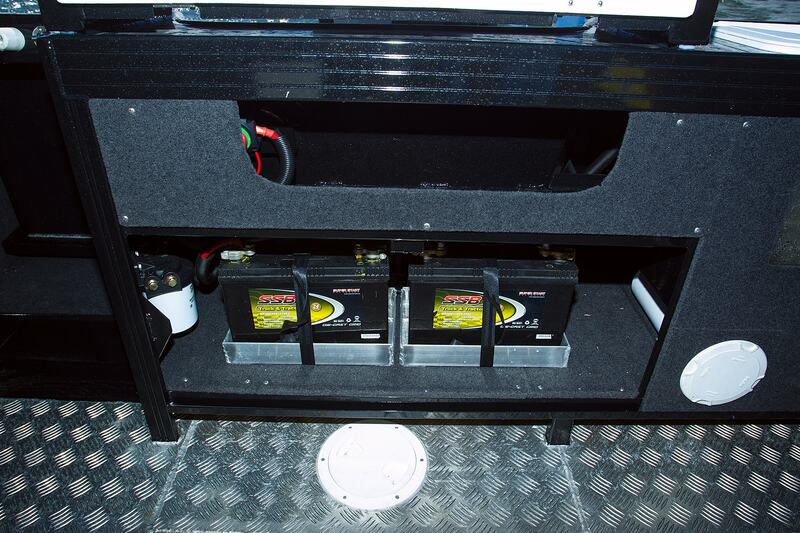 The dual battery setup is built into the back of the transom with easy access if required. 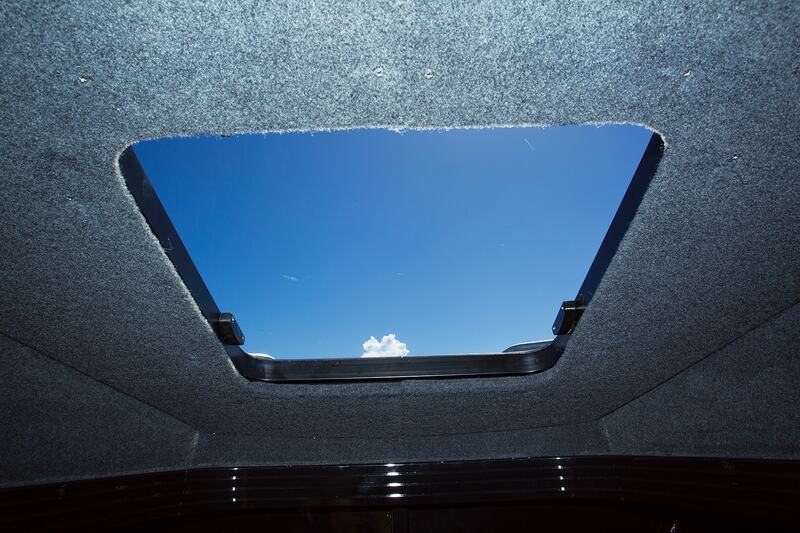 The cabin hatch is made of hardened glass and provides airflow and easy access to the anchor well when open and can be closed and locked tight when closed.